I am an Optometrist currently working for one of the large national chains. Throughout my 10 year career I have worked at over 50 different practices as both an employed and locum optician. 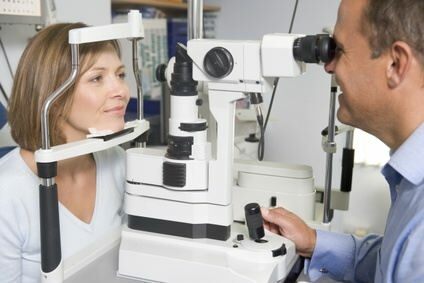 In addition to Optometry I also run a successful website called www.treatmentsaver.com which has helped give me some perspective as to both the good and bad things about my career. I currently work as the senior optician in a busy city centre practice. My role involves assessing both the health and vision of all my patients in addition to providing contact lenses as required. To study Optometry it is pretty competitive and most universities require at least 3 B grades. For better ranked universities such as Manchester and Cardiff you are likely to need even better results. After completing my A levels I started my 3 year Optometry degree at UMIST (now Manchester university). The course is pretty intense with your performance in every year counting towards your final degree results. After completing your degree you then start your Pre-registration (Pre-Reg) year which basically means you are working under the supervision of a qualified Optometrist. During this year the aim is to put all of things you have learnt at University into practice in the ‘real world’. You will be assessed throughout the year by examiners to check you are achieving the required standards and you then have to sit your Professional Qualifying Exams (PQE’S) at the end of the year. Once you have passed these you can start applying for jobs. When you initially start practicing you will typically be seeing patients every 30 minutes but with experience this will drop to every 20 minutes. You will improve your contact lens skills as well to the point where you can do all disciplines seamlessly depending on what the patient requires. The graduate entry salary is high when compared with a lot of other professions. Depending on location you could start on as much as £30,000 which is extremely attractive. With increased experience and speed of testing, most opticians will be earning close to £50,000 after 10 years of practicing. It is important to mention here that wages are lower in areas of saturation and this is particularly the case in Northern Ireland. Working with the general public: Although this can be frustrating at times, it certainly means that no two days are exactly the same. You will also find there is a massive difference working in areas with contrasting socio-economic demographics. Short hours: Opticians typically work 9 – 5.30 with few late nights or meetings. Another great thing is that you are unlikely to ever have to do any ‘work related’ tasks at home. No on-going exams: One of the most appealing things about Optometry when compared with other careers such as medicine is that once you have qualified your studying days are effectively behind you! Job satisfaction: Helping someone see for the very first time or detecting a disease that will prevent someone from going blind are just two of the reasons that make the profession extremely satisfying at times. Predictable: Once you have been qualified for a number of years your day to day job becomes pretty predictable as you are unlikely to encounter any problems that you can’t easily solve. On busy days the job can feel like you are just taking in one patient after another which can be tiring. Poor top salary: Whilst opticians have a great starting salary, £50,000 is generally the maximum you are likely to achieve. Whilst this is a good wage it is considerably less than what dentists and doctors will achieve throughout their careers. Career progression: There isn’t much career progression in Optometry meaning what you do from day one is not that much different to what you will be doing after 10 years. Working Saturdays: Although Optometry is considered a medical career it is also in the retail sector. Consequently Saturdays are the busiest day and you will almost certainly be expected to work them. Litigious profession: Like all medical professions Optometry is becoming more litigious in nature which makes the importance of good conduct and record keeping even greater. All opticians are required to have medical indemnity insurance which is typically provided by the AOP. What about Attitude, Personality & Interests? You need to be able to deal with the pressure that comes with keeping to a full clinic. You need to work fast as keeping to a 20 minute clinic is not easy. In addition to this it is important that your patients do not think you are rushing them as this is likely to result in a complaint! You need to have a good bed side manner and personal skills. Patients are trusting you with the health of their eyes and are discussing personal matters with you. You need to be adaptable and open to change as the profession is constantly evolving. If you are going to practice as a locum optician this is especially important as the equipment will vary between clinics. You need to be compassionate and empathetic as at times you will have to deliver bad news to patients who may have irreversibly lost their vision. What advice would you give to someone considering a similar career? Treat your patients as you would want to be treated and don’t forget you are just one cog in the wheel. You need to acknowledge the help and support of your clinical staff as well. Don’t ever see yourself as better than your work colleagues as this will lead to resentment and a bad atmosphere at work. Realise that Optometry can be routine at times but this will allow you to have a full and uninterrupted private life. I think people need to realise that the grass isn’t always greener on the other side and often the things you thought you didn’t like about your job such as the repetitiveness and lack of career path are often the things you appreciate when you leave! Running my own web business in conjunction with my Optometry career I often find myself moaning at the fact that I have to do work at home and work late! If you are considering a future career beyond Optometry the skills you are likely to have developed by working in practice are good communication, organisation and leadership. These are all qualities that will serve you well in other industries. For those about to embark on a career in Optometry I wish you a long and happy professional life. I recently started at Optical Express and I have to say I was nervous in the run-up to it. 2 months in and I am so happy I made the decision to become an opthamologist. I am in training (year one) but already I cant wait for the future. Much better choice, I’ve been an Optometrist in US for 30 years and it’s been a disappointment financially. With little respect considering in US it’s 7 to 8 years of college. Good luck!